Aluminum Construction, 4"x2" Frame w/Bowed Arch, 1.5"x 5/8" Pickets, 4"x2" Bottom Cross Bar, "Sandtex Black" Powder-Coated Finish. 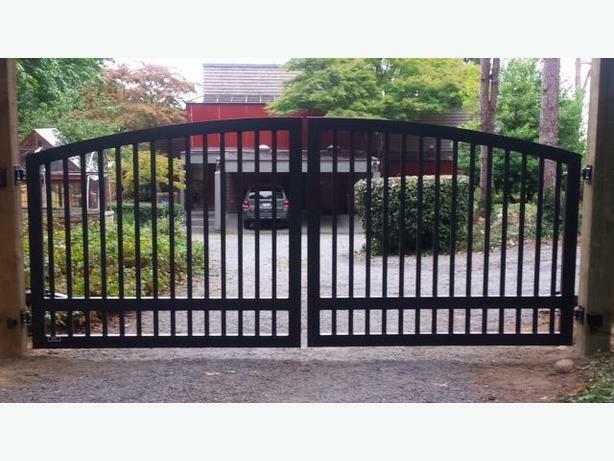 Automated Gate Systems, Hardware, Accessories and Installation Available.. Check Out Our Website For Other Available Designs, Or Please Contact Us For More Info!